The Decorative Ribbon Wool Tallit collection is comprised of a 100% virgin wool tallit with different colors of solid stripes. The uniqueness of this collection is the decorative Lurex ribbons that extend from side to side. This group of Decorative Ribbon Wool Tallits has solid black stripes, slender gold Lurex stripes and thicker Lurex gold colored decorative ribbons. The decorative ribbon comes in a choice of patterns. 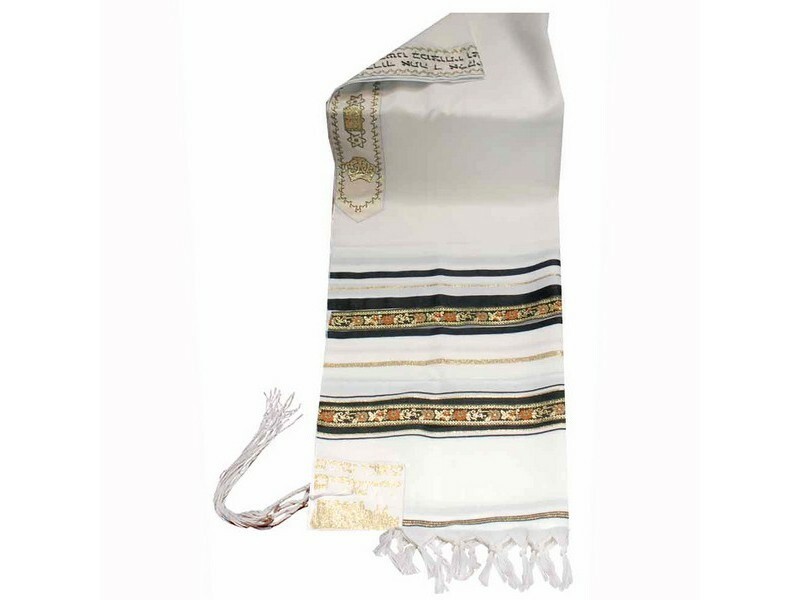 Please note that there are multiple groups of the Decorative Ribbon Wool Tallit collection with similar ribbon styles to choose from. 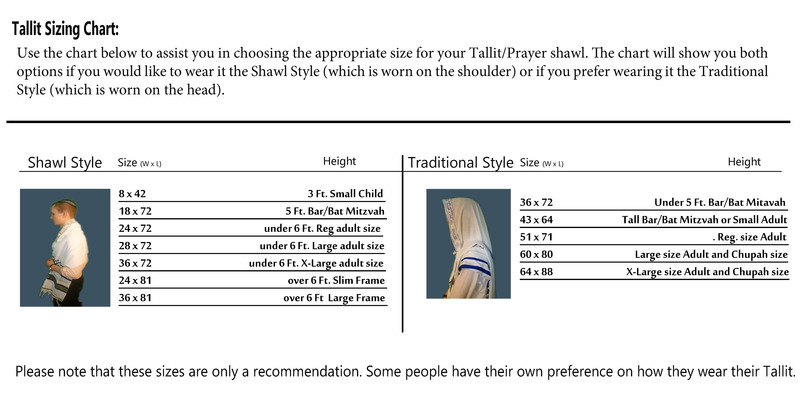 Each tallit includes a matching atarah neckband. Both sides have the knotted style fringe finish. The Decorative Ribbon Wool Tallit collection is available in both shawl and traditional style sizes.